On September 21, 2013 Hempstead Uniondale Times and the Power Networking Business series will be hosting the 3rd Annual Networking in the Hub event at the African American Museum in Hempstead. The Networking in the Hub event will begin at 10:00 am and end at 2:00 pm. Hempstead; Long Island has been long considered the Hub or epicenter of business. Recognizing this fact, small business owners around the region converging on Hempstead on Saturday, September 21 in an effort to network and to develop strategies that will help them stimulate their own personal economic success. Dubbed “Networking in the HUB,” the event’s goal is to bring together small business owners, community and civic leaders together to share information and support each other as Hempstead is poised for major growth and development. The event will give professionals in attendance the opportunity to meet and talk with others in business and execute trade and foster business relationship in NY’s Premier Business Network. Each participant will also get a chance to introduce and/or promote his or her business. Phil Andrews, CEO Public Relations Company will serve as the Master of Ceremonies for the event. 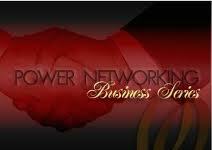 Mr. Andrews is known as a Master Networker throughout the metropolitan area. The Hempstead Uniondale Times has been committed to running the Networking in the Hub event for the past two years and is committed to using the publication to fostering business growth and business brand development strategies through networking events and print media. Among the Past attendees and dignitaries include Deputy County Executive Dr. Phillip Elliot, Mayor Wayne Hall, Ray Thomas Representative for Nassau County Executive Ed Mangano, and Fran Becker, Legislator, Nassau County Legislative District 6. Some of the past honorees include Leone Baum, former president, Hempstead Chamber of Commerce, Don Durant, former owner of Copy Man Copy Centre/author of nine award winning books, and Max Rodriquez, former trustee Village of Hempstead/president, Hempstead Cuban Civic Association. “Networking in the Hub is vital to small business owners in the Nassau County, Suffolk County, and NYC area. We live in more connected society as social media continues to grow by leaps and bounds and breaks down the barriers that were once controlled by geographic location in the past. Hempstead, Long Island is returning to its glorious past as one of the major hub areas in New York State” Phil Andrews, CEO of PA Public Relations Company.ess-2-Business event is presented by Hempstead community-based newspaper, The Hempstead/Uniondale Times, along with Power Networking Business Seminar Series. To register for the 3rd Annual Networking in the Hub event you may log on to https://networkinginthehubseptember212013.eventbrite.com/ to register today. For sponsorship inquires, vending opportunities , or general admission inquiries you may email us at hutimes@aol.com or log on to the above link and contact us.